On the day of your wedding, you will spend a lot of time making sure you look at your best for the occasion because of how important of a day it is. Besides finding the right bridal shop for your dream dress, or a tuxedo parlor for your dream suit, or selecting your floral arrangements, one last minute detail that will help insure that you are looking fly on your wedding day is getting a fresh tan. Nothing screams aesthetic elegance like a bronzed epidermis up against the luxurious fabric of your wedding ensemble. If you are not a person that regularly visits a local tanning salon, or simply looking for a different salon, do not fret, because Atlanta has plenty of great tanning salons. 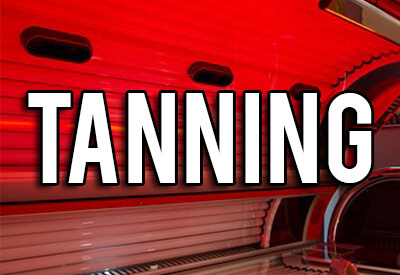 Here is a helpful guide that we believe will help make your search for a good tanning salon that much easier. It is always a safe bet to start your search off with the recommendations of your friends, family, and colleagues. It may also behoove you to ask the venue coordinator of the reception hall you have booked for the recommendations, they may have an established rapport with a particular local tanning salon. It is worth cross referencing these candidates online via wedding directories or guide websites as these sources provide users invaluable information on wedding vendors, including details on pricing, reviews, bridal testimonials, pictures, videos, and more! The best tanning salons are interested in marketing themselves via any means available, so it follows that the best tanning salons will have individual websites in which you can peruse, and get a feel for how they present themselves. This is not too complicated, just mark down the ones that really strike your fancy, and go visit them. It is easy to ascertain their prices online, but you will never get a good understanding of the condition that their equipment is in if you do not visit the shop, too. Once you have a list of salons to visit, you can go ahead and scope each establishment out. When you get there, ask the attendant if you can see their equipment. If for some reason they say no, then there really is no point in continuing the visit after that. The equipment should be in good condition, and most importantly, it should be immaculately clean! If you are germophobic, it is definitely worth asking the attendant the details about their cleaning procedures, what chemicals they use, and how many times a day they are cleaned. Generally, most machines are cleaned off after each client's usage of them, but be sure the tanning salon you are at does not cut any corners. Once you cover the equipment, you can cover the cost. Some tanning salons also offer different packages. If for some reason during this whole process, you are turned off by tanning salons, you may want to consider a different method if you want to be tanned. Another option is to be “spray tanned which is a temporary tan that can be applied on the day of your wedding, and if necessary, will wash off that night depending on the quality of spray tan you purchase. Choosing your tanning salon is very straightforward, and will almost feel like a reward for all the hard work you have done planning the rest of the wedding, so do not rack your brains stressing yourself out in regards to which one may be right, because most can do the job very sufficiently.